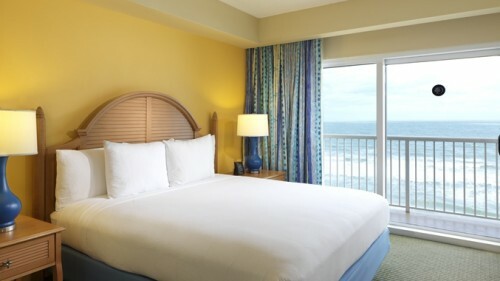 Feel welcome at DoubleTree Suites by Hilton Hotel Melbourne Beach Oceanfront. 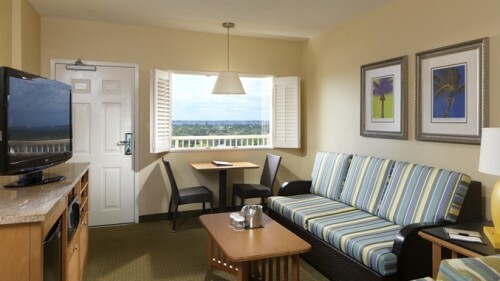 Guests of our all-suite Melbourne, Florida hotel enjoy warm hospitality and a signature walnut and chocolate chip cookie. Stay with us and be just 10 minutes from Melbourne International Airport, close to Disney World® and Orlando attractions, and only steps from the beach. 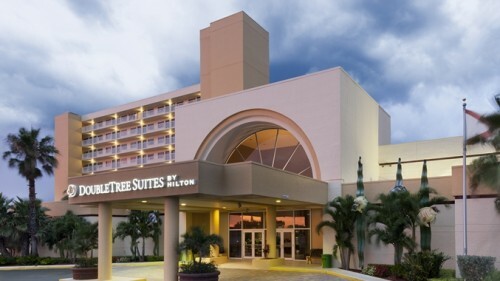 Our Melbourne Beach hotel in Florida provides a complimentary shuttle to attractions within a three-mile radius. Take advantage of our oceanfront location to create a memorable wedding, social event, board meeting, conference or networking event. All guests have access to the 24-hour business center. 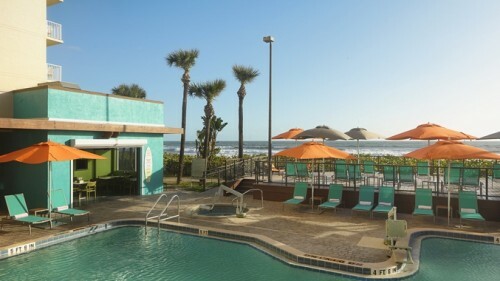 Dine at Seagrapes Restaurant for seafood along with views of the pool and deck. Our modern fitness center is fully equipped with cardio machines and free weights. Take the kids for a dip in our refreshing pool or simply savor a snack at our poolside bar. Whether you are traveling for business or leisure, we look forward to welcoming you to our Melbourne Beach hotel very soon.